we have a couple of wonderful friends who run a small business in calgary called dirt craft natural building. ashley and heather offer hands-on natural building workshops, including earth ovens, rocket stoves, small structures and earth plasters. i have wanted to take a cob oven workshop with them for quite some time, and the first class i registered for i ended up coming down with the flu and had to miss - but yesterday was my day!! 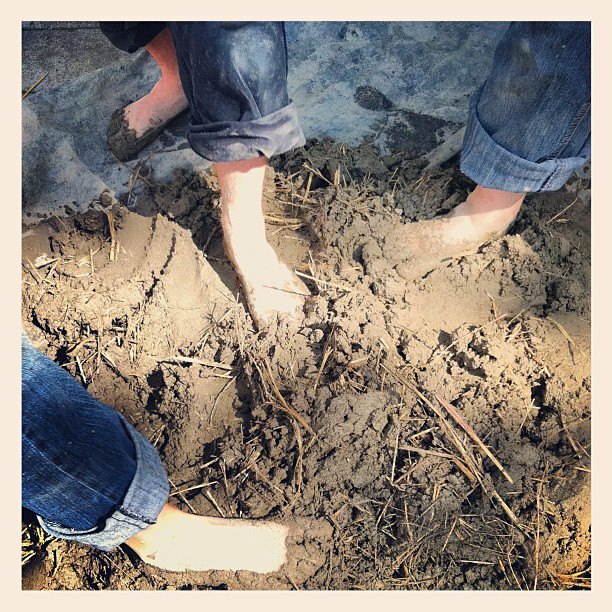 my friend paula and i finally got to join in and learn the in's and out's of building with cob - a 100% natural mixture of clay, sand, straw and water. 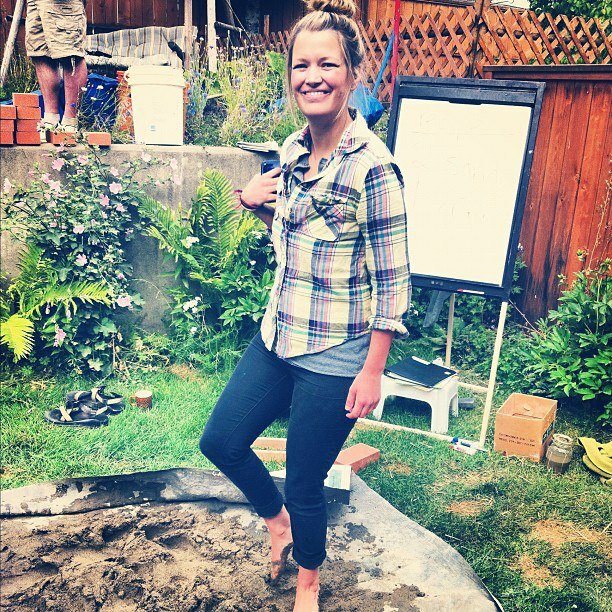 We were able to help be a part of constructing a beautiful outdoor oven with our bare hands (and feet!) and learn a little bit more about sustainable and natural building techniques during the process. so incredible! mixing the cob up. feet work best. paula working the insulation - clay slip mixed with wood chips.